Lore Finder, a cosmic horror metroidvania from developer Kitsune Games that certainly sounds unique. You take on the role of K.C. Morgan, a paranormal investigator and search a New England mansion for your missing father. They're calling it a "queer reimagining of the cosmic horror genre" as the protagonist is "non-binary". What's interesting, is that they're offering up a demo you can play in your browser. Right on the Kickstarter page, so all platforms can give it a go even if the downloadable demo is only on Windows for now. The game will be powered by the FNA library created by Ethan Lee, which is used in the Mac and Linux ports of games such as Eversion, Celeste, Salt and Sanctuary, FEZ, Rogue Legacy, Dust: An Elysian Tail, Bastion, Transistor, and even our very own MidBoss. This means Mac and Linux ports should be doable, and will follow after release of the Windows version. 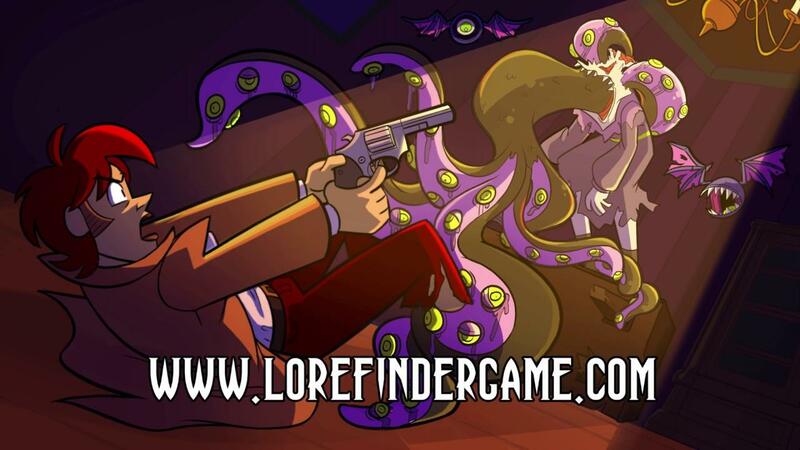 If fully funded, we will have a modest stretch goal which if reached means Lore Finder will release simultaneously on Mac, Linux, and Windows. This stretch goal is needed because if unexpected difficulties porting to Mac and Linux crop up, we can't promise a simultaneous release without some budget to cover potential issues. For those who still have doubt, I've spoken to the developer a few times about it and they really are positive about a Linux version. They also previously put out the rather unique rogue-like MidBoss which does work well on Linux. The actual team working on this title have done some other really good stuff in the past like art for Cave Story+, The Binding of Isaac Afterbirth+ and a few others. Their main goal is only $10K, so it's not exactly high which means the stretch goal to have simultaneous Linux support likely won't be too much higher. With 29 days of the campaign left, I've no doubt it will smash through. For those concerned about such a low goal the game is already "reasonably well developed" and they're paying fees out of their own picket. Sounds very interesting, you can see more about it on Kickstarter. Looks interesting. I like how clear they are about the porting. The demo was fun so I backed the Kickstarter. Hard not to with an early bird available for only $5. Thanks for the heads up !